​Resident Emergency Medicine (2016) Muhimbili University of Health and Allied Sciences. 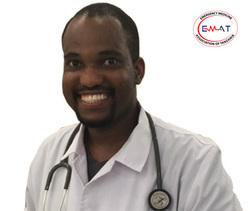 "EMAT has enabled me to pursue masters in Emergency Medicine by fully supporting the costs of my tuition fees...I am grateful for this opportunity and I am very Thankful to EMAT and all who initiated the idea of supporting emergency medicine and Critical care nursing Residents in Tanzania, be blessed all." 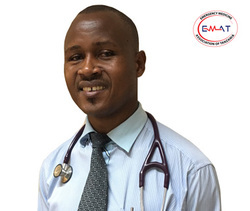 “Many thanks to EMAT for their support in my Tuition fees, my residency training was made possible through this funding, and I hope many more are able to be supported"
Msc Critical care and Trauma (2017) Muhimbili University of Health and Allied Sciences.
" I feel lucky to receive Full scholarship for my Tuition Fees, as this was the big support towards my training"
MSc Critical Care and Trauma (2016) Muhimbili University of Health and Allied Sciences. 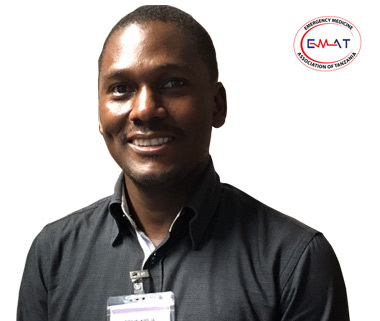 "I really thank EMAT on sponsoring my tuition fees, this support was very important to me because it enabled me to perform my masters in nursing in critical care and trauma for two years smoothly." ​Emergency Medicine Specialist (Class of 2015) Muhimbili University of Health and Allied Sciences. 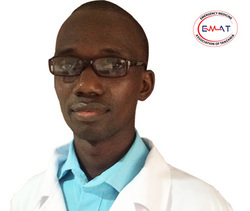 “I am grateful to EMAT for supporting the initial part of my residency tuition fees. This support was very important to achieving my dream, of saving Tanzanians as Emergency Medicine Specialist, that dream has been achieved!" Emergency Medicine Specialist (2014) Muhimbili University of Health and Allied Sciences.
" Many thanks to the the late Dr. Alwyn T. Andrew- Mziray Memorial fund for the financial support provided towards my tuition fees. This was critical for achieving my degree." ​Emergency Medicine Specialist (Class of 2014) Muhimbili University of Health and Allied Sciences. "I am really thankful to The Late Dr. Alwyn T. Andrew- Mziray Memorial fund for supporting my tuition fees which enabled me to do my residency in the field I love." ​Resident Emergency Medicine (2016) Sciences.Muhimbili University of Health and Allied Sciences. “Thank you EMAT for supporting tuition fees for my Residency, This support has been really crucial for my pursue of Postgraduate training, GOD bless you all"